Overcast. A stray shower or thunderstorm is possible. High 64F. Winds WNW at 15 to 25 mph.. Partly cloudy skies this evening will become overcast overnight. Low 44F. Winds NNW at 10 to 20 mph. Dining Room Table and 6 Chairs - Excellent Condition! Details for Dining Room Table and 6 Chairs - Excellent Condition! Thomasville Dining Room Table and 6 Chairs: Excellent condition! 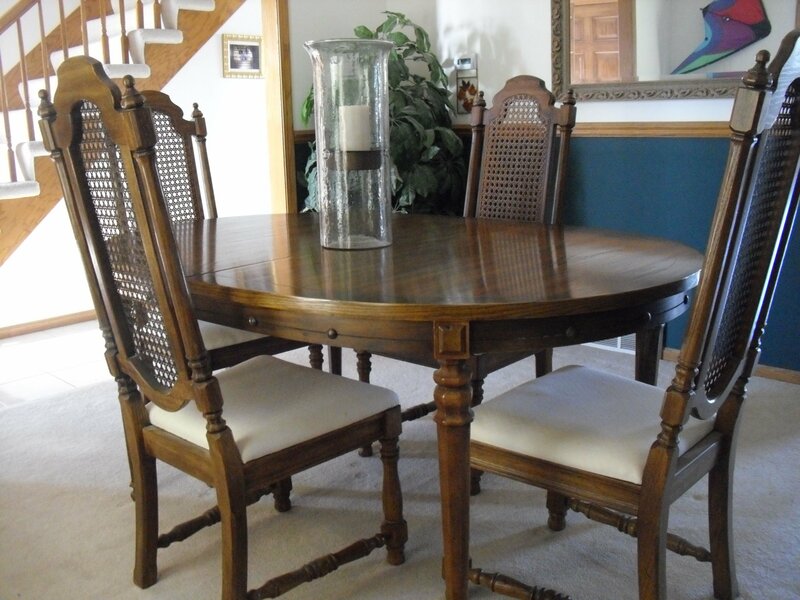 This dining room set is in excellent structural and cosmetic condition. Rarely used. Caning is like new. New ivory seat cushions.